The altitude and gentle misting rains give Darjeeling teas a unique flavour and aroma. Savour this champagne of all teas. 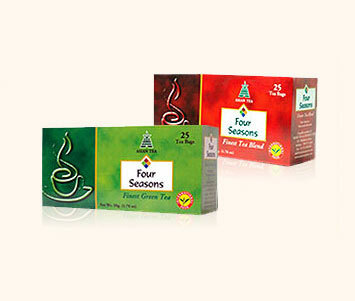 These teas offer a highly satisfying experience with its delectable flavour and rich liquor. A select blend of the CTC teas. Taste the full- bodied liquor and distinct aroma. A blend of the finest Green teas. Packets are available in sizes of 100 gms and 250 gms. Other sizes can be available on demand. A blend of the finest black teas. Tea bags are available in packs of 25 and 50 tea bags. Other sizes can be available on demand. 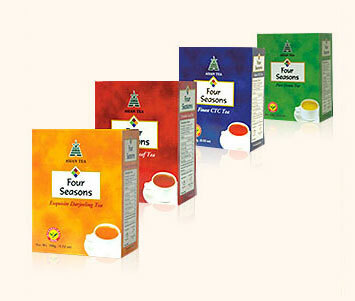 Besides the readily available teas as mentioned above, specific blends as per buyer's choice can also be offered.